China vs Germany: who will take the Women's Team title? The final day of women's Table Tennis action at Rio 2016 is upon us, and we now know which two countries will be contesting for the gold medal in the Women's Team event: China and Germany. China will enter the match as many people's favourites to win, but can Germany cause the upset of the Olympic Games by beating the top seeds? Having won the gold medal at London 2012, China were widely expected to defend their Women’s Team gold with little difficulty in Rio. Brazil were China’s first opponents in the 2016 Olympic Games, and despite a hostile crowd showing tremendous support for the host nation, the Chinese squad came through without dropping a single game. The quarter-finals stage saw China defeat DPR Korea, again with a 3-0 victory before going on to eliminate the fourth seeds Singapore in the last four. “We are strong because we are united; we are strong as an overall team, and we are also strong individually. You may be able to beat one of us, but it’s hard to beat all three of us.” – Li Xiaoxia (China). Prior to Rio 2016, no European country had ever made the final of the Women’s Team competition at an Olympic Games. Regardless of the end result, Germany who meet China in the final, can look back on these Games with great pride. Germany’s opening round match was with the USA, who they overcame 3-0. Then a 3-1 triumph over Hong Kong followed to put the Germans into the semi-finals, where they surprised Japan in a 3-2 thriller to guarantee at the very least a silver medal. “Before we came here we wanted this medal so bad. When we saw the draw we knew it was possible. We played perfect.” – Petrissa Solja (Germany). You may have expected to hear that China and Germany have met on a frequent basis, being arguably their respective continents’ strongest countries in the women’s game. However, the two teams have only faced each other twice in the past 12 years. 2013 was the most recent encounter between China and Germany, when both sides met in the quarter-finals of the World Team Cup. Ding Ning, Liu Shiwen and Li Xiaoxia were in the China team who blitzed through 3-0 and eventually took the cup. China had also beaten Germany at the 2004 World Team Championships by the same scoreline, but the 2016 Olympic Games will see a new German lineup of Han Ying, Petrissa Solja and Shan Xiaona take on the same Chinese team of the 2013 World Team Cup, so maybe the best indication of what is to come lies with how each player has performed against the other in singles matches. Ding Ning (China) has won all five of her ties against Han Ying including a 4-0 victory in the Rio 2016 Women’s Singles tournament. She has also beaten Shan Xiaona on the two occasions they have met. 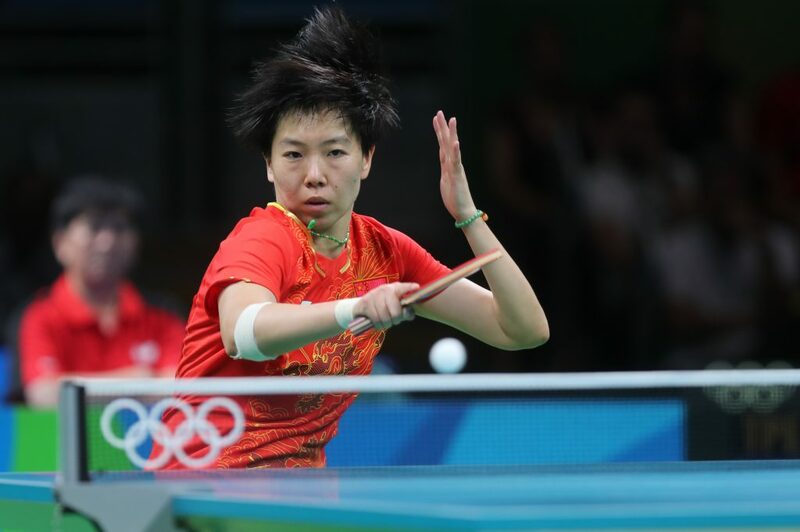 World number one Liu Shiwen has also played both Han Ying and Shan Xiaona, and just like her fellow countrywoman Ding, Liu remains undefeated against the two German competitors. However, Li Xiaoxia has never faced any of the three Germans and likewise Petrissa Solja hasn’t gone up against any of the three Chinese players, leaving room for unpredictability in the final. So who will take the Women’s Team title? China or Germany? The match will take place on August 16th at 19:30 (GMT-3) and you can watch it HERE.